Rudy Giuliani, top attorney for President Donald Trump, said on Sunday that Trump won't issue any pardons in the special counsel Robert Mueller's investigation, but could after the probe is over. Giuliani said Trump would look into those who were treated "unfairly" in the investigation. Trump's former campaign chairman Paul Manafort was sent to jail last week to await trial on more than 20 charges as part of the special counsel's probe. Rudy Giuliani, personal attorney for President Donald Trump, said on Sunday that Trump isn't issuing any pardons in the special counsel Robert Mueller's investigation, but could after the probe was closed. "The president is not going to issue pardons in this investigation," Giuliani told host Jake Tapper before he echoed Trump's characterization of the investigation, calling it "extremely unfair". Tapper had asked about Giuliani's comments to the New York Daily News last week, in which he said, "When the whole thing is over, things might get cleaned up with some presidential pardons." Giuliani also doubled down on suggesting the investigation had shaky origins and his previous remarks that it should be shut down — and suggested it should be investigated. 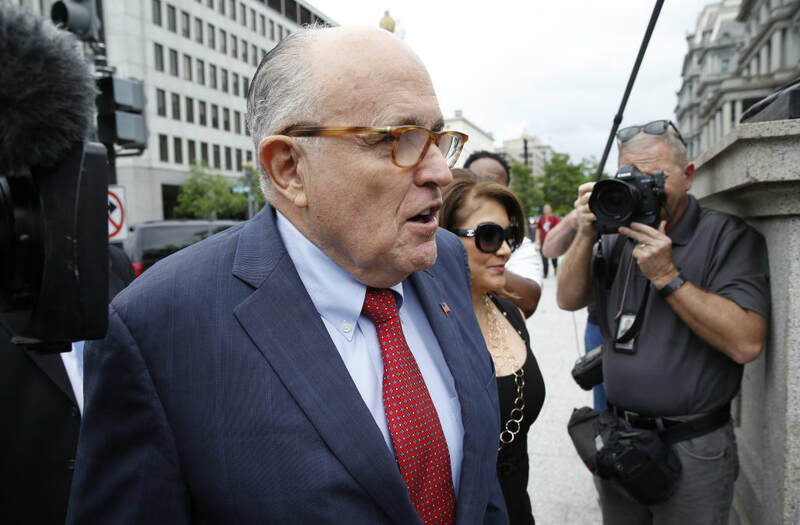 "My advice to him, you know, as long as as I'm his lawyer, is not to do it, because you just cloud what is becoming now a very clear picture of an extremely unfair investigation with no criminality involved in it of any kind," Giuliani said. "I want that to come out loud and clear and not get clouded by anybody fired or anybody getting pardoned." He went on to say that pardons weren't out of the picture, but would have to wait until the investigation was over. "When it's over, hey, he's the president of the United States," Giuliani said. "He retains his pardon power. Nobody is taking that away from him. He can pardon in his judgment, based on the Justice Department, Council's Office, not me. I'm out of it." Giuliani's remarks come two days after Trump's former campaign chairman Paul Manafort was sent to jail to await trial on more than 20 charges as part of the special counsel's probe.
.@JakeTapper: "If Manfort is convicted, will President Trump pardon him?"